Larry Hall, a former legislator and Gov. Roy Cooper’s choice to head the Department of Military and Veterans Affairs, has been subpoenaed by a Senate committee but he may not be legally obligated to appear. The Marine Corps veteran has become somewhat of a pawn in the political spectacle that is the power struggle between Democratic Gov. Roy Cooper and the Republican-led General Assembly. In the latest showdown, a Senate committee voted Thursday along party lines to subpoena Hall after he chose not to attend three scheduled confirmation hearings. Hall has not publicly commented about why he has not attended the hearings, but Cooper’s attorneys believe the law prohibits the Senate from holding advice and consent proceedings without the governor initiating the process. Cooper has not yet formally submitted his nominees and has said that he will not do so until after the March 7 trial in which that same three-judge panel will determine the constitutionality of the confirmation process. He has until May 15 to submit the names to the Senate, according to the law and the panel’s findings. The law also makes clear that Cooper’s appointees can serve in an interim capacity until he submits their names. The Senate has interpreted the court’s order in a different way. Its leaders say because it is a denial of Cooper’s request for a preliminary injunction, they can continue with the hearings. They’ve also said that the courts do not have the authority to stop the Senate from conducting its business. Hall could not be reached for comment and Cooper’s press office did not respond to questions about how he plans to respond to the subpoena. “One way or another, it’s the courts that will make the final decision,” said Michael Crowell, a Chapel Hill attorney and former professor at the UNC School of Government. Crowell said Hall has three options to respond to the subpoena. The first is for Cooper’s attorneys to take the initiative to quash the subpoena by going back to court. Attorneys can object to the subpoena on various grounds (i.e. schedule conflicts) but they can also raise any good argument to quash it based on the law. Crowell said in this instance, one argument that attorneys could make is that the confirmation hearings are not properly before the committee. Another option Hall has is to just not show up to the hearing he has been subpoenaed to attend, Crowell said. The legislature could then ask the court to hold Hall in contempt. There are two types of contempt – civil and criminal. Civil contempt would require that Hall be jailed until he decided to testify at his confirmation hearing. It’s a punishment to compel someone to do something. Criminal contempt is used when it’s too late to get someone to comply or when it’s obvious that someone won’t comply and it’s a punishment of a fine of up to $500 or a jail sentence of up to 30 days, according to Crowell. The court would still have decide to hold Hall in contempt – the legislature could not hold him in contempt on its own, he said. “Undoubtedly, [the Senate committee] would want civil contempt,” Crowell said. “If someone is not doing something in good faith that the law allows, it’s kind of hard to prove it’s willful,” Crowell said. The last option Hall has is to comply with the subpoena, show up to the confirmation hearing and participate in the process. There has not been any indication that he will do that. Andy Hessick, a professor at the University of North Carolina School of Law, said that there’s no doubt of the legislature’s subpoena powers and that, at least at the federal level, it’s fairly difficult to quash such an order. “There’s usually no grounds for it,” he said. He also spoke of the different types of contempt Hall could be held in if he didn’t comply with the subpoena. If that occurred, he added, Hall could only be held in contempt until the General Assembly’s session ended. The legislature has broad subpoena powers that thus far have been used fairly rarely. 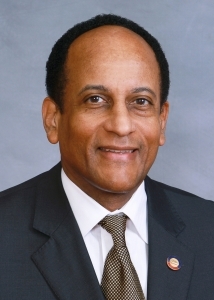 The News & Observer reports that the last subpoena the legislature served was in 2011 to Lynn Holmes, who was head of the Division of Employment Security. She was ordered to testify under oath at a committee meeting after missing a previous meeting about her plans to implement reforms. She said she had a personal conflict. 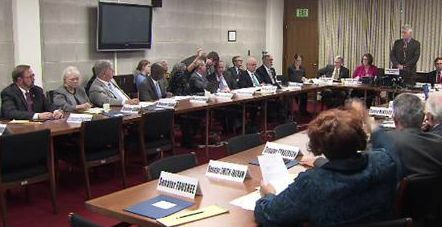 In 2010, a Senate judiciary committee subpoenaed UNC-TV. The university’s public television arm complied with the subpoena and turned over 200 hours of raw footage from a documentary program about aluminum company Alcoa’s controversial history on the Yadkin River. Senators threatened to subpoena Budget Director Art Pope but the dispute was resolved before they actually did it, according to the N&O. Hessick said it’s not unusual at the federal level to have political appointees subpoenaed, but Hall’s situation is different because typically, anyone who has been appointed and wants the job is going to show up to a confirmation hearing. But those hearings have long been established – the heart of the current issue is whether or not the North Carolina Senate can hold confirmation hearings at all. Experts agree that no matter the outcome, such a fight for power this early on in Cooper’s governorship will not bode well for the next four years. He had questions about the outcome of the advice and consent process and what good it would ultimately do for North Carolina. Hessick said the ongoing struggle is just complicated enough that a lot of the public might not understand it. What they do understand is that it is a huge conflict that will likely lead to the next four years being entirely antagonistic. “There’s not going to be a lot accomplished,” he said of the public’s perception.